This is why I agree with schools banning running. Meet my son Philip. And meet his smashed teeth. 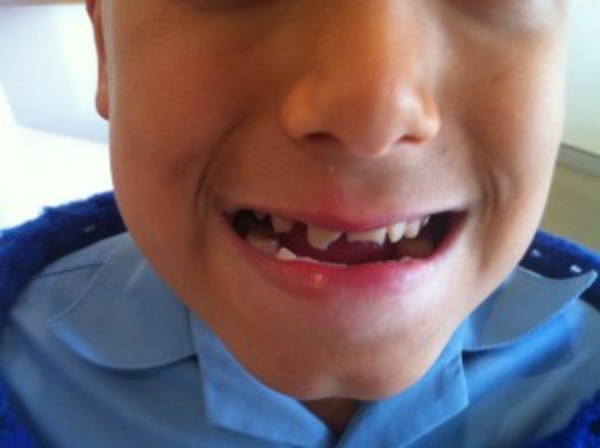 I was merely weeks into a new job when I received a call from his school saying Philip had fallen and landed on his face, smashing his teeth. I ran to the nearest bus stop hoping it wasn&apos;t as bad as it sounded. He&apos;d smashed three of his front, adult teeth. To make matters worse, Philip&apos;s teeth had been almost perfect. This is why I can understand the actions of Our Lady of Lourdes Catholic primary school in Earlwood, Sydney. The school has banned children from running in the front quad in the morning and evening drop-off and pick-up periods. Principal Maria Ross said it&apos;s part of the school&apos;s duty of care. While the school has restrictions on where and when their student&apos;s can run, she reminded angry parents that the school has a massive grass playground where they can run to their heart&apos;s content during recess and lunch. She said, "Running goes on every lunchtime and playtime. But when children arrive in the morning there is a different process." It&apos;s because of the groups of parents and students who congregate at the small front area of the school that there has been safety concern and there have been several occasions that students have knocked other students over while running and playing. I would ask those angry parents to have a good look at my son&apos;s ruined mouth. * I wasn&apos;t the world&apos;s strictest mother when it came to brushing his teeth. We were using novelty toothbrushes and novelty toothpaste. I was later told we should have been using proper toothpaste and at least once a day I should have been brushing them for him. When I saw the damage that had been done I wanted to cry. His beautiful, perfect, healthy teeth were ruined. We went straight to the dentist where we were told they wouldn&apos;t be able to be repaired properly until he was all grown up. They&apos;d do a temporary repair which would look okay but he&apos;d have to be careful when it came to the foods he ate. Philip&apos;s school is wonderful in every way except in design. The grounds are a rolling series of concrete hills. Kids love running down them. Our kids always have holes in their pants and shoes. They are constantly told to STOP RUNNING. News of Philip&apos;s smashed teeth spread through the school. Now if I child is caught running teachers can warn, "Remember what happened to Philip?" 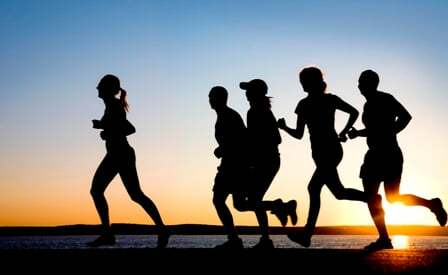 Yes, it&apos;s normal for children to want to run - but we also need to look after them. There are some situations in which they shouldn&apos;t run. Down concrete hills is one, near school gates where they can trip over each other is another. Philip&apos;s school has a grass area and a &apos;soft fall&apos; play area where he can run, just like Our Lady of Lourdes and most schools. Is it so bad when schools try to keep our kids safe? Isn&apos;t it better to air on the side of caution? No matter how careful schools are, kids will be kids. Injuries still do occur. Because kids are kids and sometimes they don&apos;t care about rules. All I care about is that schools do their best to set rules. They do it because they care about our children. Let&apos;s do our best to support their decisions.